In recognition of National Volunteer Week, the Little Sisters of the Poor honored their dedicated volunteers at an appreciation luncheon on Wednesday, April 26, in the café of Holy Family Residence. Following the stuffed chicken luncheon, the Little Sisters and Activities Director and Volunteer Coordinator Lisa Blaker presented each volunteer with a thank you gift. 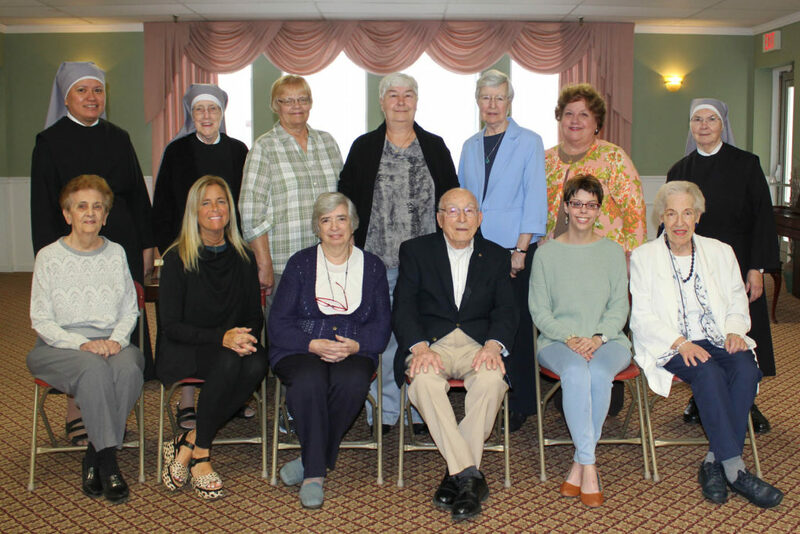 In recognition of National Volunteer Week, the Little Sisters of the Poor honored their dedicated volunteers at an appreciation luncheon on Wednesday, April 26, at Holy Family Residence. Seated, left to right: Toni Notartomas; Barbara Scacchitti; Betty Czar; Edmund Scacchitti; Amanda Valvano; and Mary Spoher. Standing, left to right: Mother Theresa Louisa, l.s.p., superior of the Little Sisters of the Poor’s Scranton community; Sister Mary Augustine, l.s.p., administrator; Barb Politowski; Madeline Anuszewski; Sister Joan Marie, I.H.M,; Cathi Crossin; and Sister Marie Therese, l.s.p.